An Urban Teacher's Education: New Teacher and Principal Evaluation System Driving Out Principals? New Teacher and Principal Evaluation System Driving Out Principals? If your Washington State school is anything like mine, your administrator(s) has/have been so overburdened with completing documents related to the new TPEP system, they've hardly had time to be administrators. As I was talking this over with my administrator, she pointed out that there are more openings for principals in our region than she's ever seen (and it's only March). Her boss at the district told me that he agreed with her opinion. They both also agree that the burdens of TPEP are probably a cause of much of this. They went on to imagine that lots of principals close enough to retirement are happy to get away from what is a nightmare workload. Principals at poorer schools, where there are more teachers newer to the profession, are forced to complete more comprehensive evaluations than other schools, taking away time they would otherwise have to do all the other things principals need to do. Our principal is leaving after this year, and there is a real worry that we will be left with few, if any, qualified candidates to take our principalship - particularly since we're a small school (which means less pay and more work) and we have an extremely high rate of students who are high-needs. An administrator I know told me that she doubts many experienced administrators would want to touch the job at my school a ten-foot pole. I think this issue deserves media attention. The outrageously burdensome new teacher evaluation system in WA has really taken a toll on administrators. 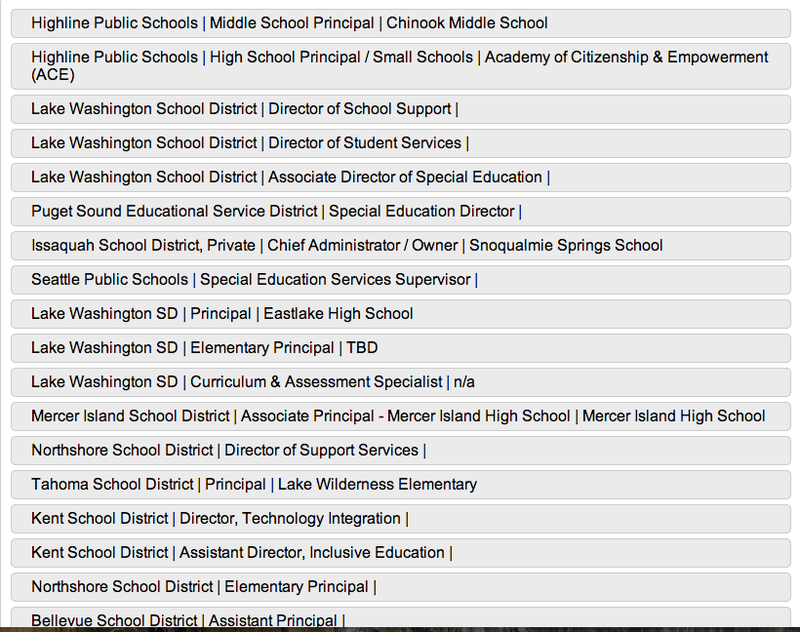 Schools having to hire new principals this fall may suffer, as many may be forced hire from mediocre candidate pools. If this happens, and instruction suffers, few in the public will see any connection to the teacher evaluation system. What was supposed to support quality instruction in the classroom might lead to poor leadership in the principal's office. And nearly everyone in schools understands just how important it is to have an excellent leader. Not just in Washington State, but here in New York State, as well. We rarely saw our previous principal, she was constantly in the office. Our new principal, that started out walking around the school to see what was going on, is now also a captive in her office, thanks to our new teacher evaluation system. It's sheer madness- when will it all end, so that we can get back to teaching, and the administrators can get back to being educational leaders?